This is a question we get quite often. Recently, one of our customers, Judith, emailed that her vermicomposting European Nightcrawlers weren't getting any bigger. She not only uses the worms for vermicomposting kitchen waste, but she also uses the worms for fishing. She's had these worms for over a year now. Even though she's not into worm farming as a business, the answer to her vermicomposting problem is same. There are several reasons that worms stay small and don't grow into bait size. Below is a summary of these reasons with remedies. 1. The worms are too crowded. In order for worms to reach maximum size, they need plenty of room. This is particularly true for young worms. In Judith's case, her worms have been breeding and laying egg capsules all along. These egg capsules have hatched and her vermicomposting bin is most likely getting over-crowded. My advice to her was to split the bed into two. Since she's not interested in have more than one vermicomposting bin or in going into the worm farming business, she should give them away. The worms must be divided and the population reduced in the existing bed for her worms to grow. 2. The bedding is "too old" and/or compacted. If she hasn't changed out the bedding recently, her vermicomposting bin bedding has undoubtedly been converted almost entirely to worm castings. An over concentration of worm castings is unhealthy for the worms and eventually kills them. The good news is these worm castings are an excellent source of fertilizer for gardens and flowers. She can take her worms out of the bedding, transfer them into fresh bedding and broadcast the castings onto her plants. If the worm castings aren't needed right away, they store very well and will keep until needed. 3. There's not enough food to go around. The more worms in a bed, the more food is required. When worms are growing, they need an "all-you-can-eat" food supply. In Judith's case, she wants worms to grow to bait size. An option she could consider is to pull out the mature worms, put them into a separate bed and feed them a rich worm feed such as FRM's Worm and Cricket Food (you can find it at some feed and seed farm stores. This option is one you will be using in your worm farm business if you are going to serve the fish bait business. Feeding your worms in this way is tricky and can lead to problems (such as "protein poisoning") if not done correctly. There are complete instructions on fattening bait worms in my upcoming "Worm Farm Manual". In a nutshell, feed rich, grain based worm feed only in the amount that the worms can consume in a 24 hour period. The trick is to give them all they need without overfeeding. 4. Worm Farming Secret: Increase the microbe content of the bedding and added food. 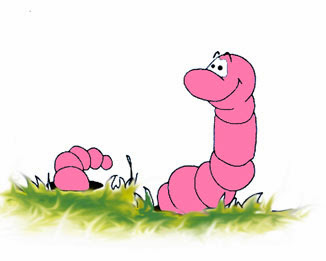 One of the surest ways to not only grow big worms, but also keep your worms healthy, is to spray you worm bedding and added food with a weak mixture of VermaPlex® (a liquid soil inoculant fertilizer made from worm castings) and water (80 parts water to 1 part VermaPlex®). Worms digest food by "following behind" microbes. The microbes basically predigest the food, thereby facilitating the worms' digestion. Worms absolutely must have a healthy amount of microbes in order to process food. The good news is, microbes show up automatically in food waste. By adding the VermaPlex® spray, you are speeding up this process and guaranteeing the worms have plenty of help with their digestion process. Read about the application of VermaPlex® to your worm beds here "Worm Farming Tips #2". In summary, provide amply room, food and microbes for your worms to grow big and fat. Please post any questions or problems you may have about growing bigger, better worms. VermaPlex® : As a worm bed enhancer. European Nightcrawlers: By far the best fishing bait worm. Excellent composting worm, too. 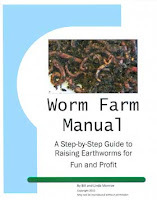 Many folks start worm farming as a primary or second source of income each year. Some succeed while others fail. As with any business, there's no one single secret to success. Worm farming is no exception. Before you jump into a worm farm business (or any business, for that matter), there a a few important things you should do first. 1. Determine if worm farming suites you. In this blog, we will be discussing the in's and out's of worm farming. You may want to follow "Worm Farm Business Blog" for a while to see if this type of business suites your lifestyle before jumping into the business yourself. Your success in this business depends on your being happy with what your doing and your level of enthusiasm. 2. Calculate the Start Up Cost. Worm farming generally requires minimal capital compared to other types of businesses. But it does require some cash up front for materials to build beds/protective coverings, harvesting tools, starter worms, bedding materials, and worm feed, etc. Consider how big you want to start and what materials you will require. Get worm prices from several worm growers and visit hardware and home improvement stores to calculate material costs. Budget enough cash to fund your business until you reach the point where your worm stock allows you to sell and create cash flow. Once you've decided that worm farming is right for you and you've determined you have the cash to follow through, write a detailed business plan. Detail how you intend to operate your business, your financial forecast and your growth expectations. A well-thought out business plan helps you avoid pitfalls and keeps you on tract. Write it and follow it, making adjustments along the way as needed. Once things get rolling, you'll have less time to devote to organization. If you start out organized and keep it that way, you'll save time and money in the long run. Not to mention lowering stress. 5. Set up the right legal structure. Weight the pros and cons of setting up a sole proprietor, LLC or corporate entity. The cost and ease of implementation as well as legal protection should be considered carefully. 6. Choose a business name. Make sure your name is unique and won't be confused with any other company. Check out Internet domain name availability at the this time, should you expand to Internet sales. Doing it now will help in your search rankings later. 7. Open a business bank account. Avoid accounting and tax nightmares by keeping personal finances separate from business finances. I recommend Quick Books for keeping track of income and expenses. It's fairly easy to use and will make your accountant happy. 8. Prepare a marketing plan. Research markets, potential customers - wholesale and retail - , analyze competitors, and create price structures. Modify and update this document regularly and follow it religiously. 9. Understand who your customer is. You customers may be any combination of: vermicomposters, fishermen, other worm farmers, municipalities, and local governments (many are starting vermicomposting to process waste). Determine if you have the possibility of any of these types of customers and to what degree. This knowledge will help you in determining the type of worms and how many of each type you will grow. 10. Join local Business association. Joining gardening clubs, fishing clubs, and other local associations gives you access to customers and retailers. Whether you specialize in vermicomposting, fish bait, or both, networking will help you build your customer base and get referrals. In summary, "if you fail to plan, you plan to fail". Getting started on the right foot makes a big difference in the success of your worm farming business. Red Worms and Red Wigglers: Premier vermicomposting earthworms. European Nightcrawlers: This fairly new worm is rapidly becoming the most popular fishing bait worm. Worm Farm Manual: A Step By Step Guide To Raising Earthworms. Where you live and the climate in your area plays an important role in establishing a worm farm business. Temperature, humidity and even noise levels should be taken into consideration when planning your worm farm location and bed types. Free food is often available. Once you know what foods are good for worms, you can scout out your area for any free food and make arrangements for pickups The savings can be enormous and will increase your profit margin considerably. Because you are dealing with living creatures, making a careful plan and considering all the above aspects before you start your worm farm business will save you both time and money. Check back for upcoming blog entries addressing these and many more important aspects of worm farming. If you have any special concerns, please post them in the comments below. 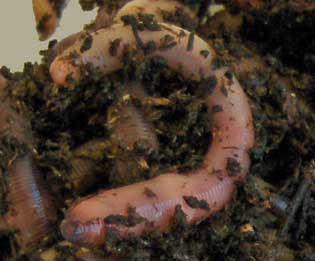 Red Worms: Raise the premier composting earthworm. European Nightcrawlers: Grow for fishing and vermicomposting.